Trg Jelacica (pronounced yell actch itsa) is the centre of Zagreb's Lower Town. 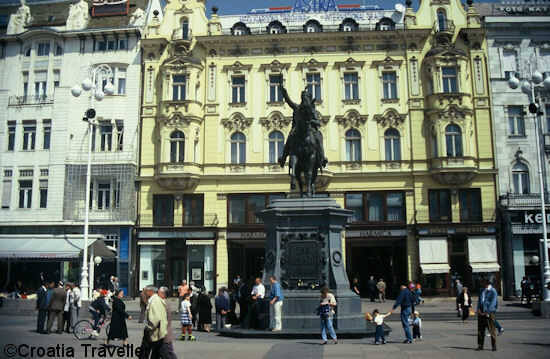 The statue of Ban Josip Jelacic is a popular meeting place and the square is bordered by dozens of stores and cafes. The square comes alive in December when Zagreb's famous Christmas market takes over the square. In addition to handicraft and food stalls, there's live music, an open stage and a giant Christmas tree, sparkling with light.